About » Super Happy Fun Sun! Super Happy Fun Sun is a small prototype exploration/puzzle game developed in December 2015 in which players must awaken planets, light nebulae and set comets into motion to bring happiness to the universe! 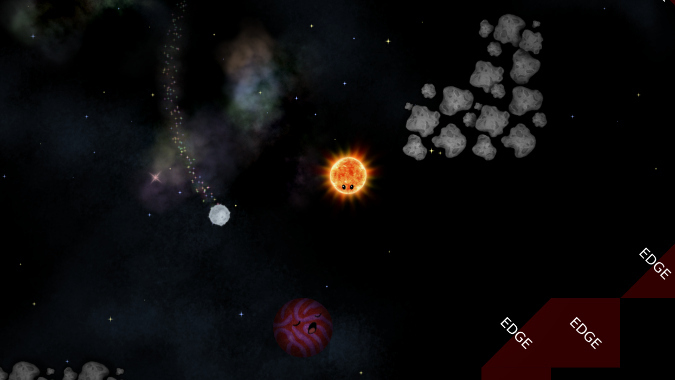 The Super Happy Fun Sun prototype is available for Linux, Mac OS and Windows.